Celebrating a gay wedding? We’ve got plenty of fabulous specialist entertainment for you. 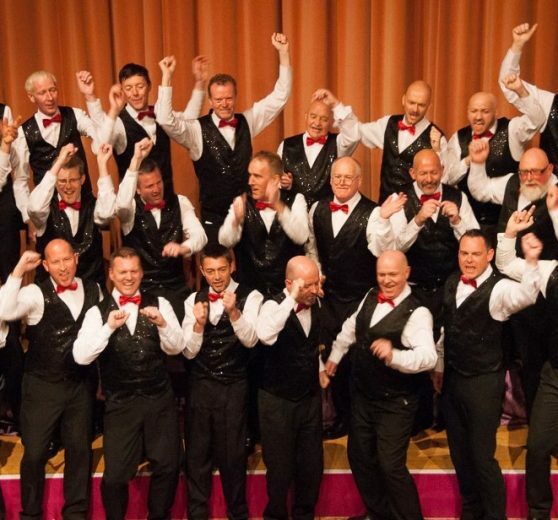 If you’ve got a big venue for a rousing impact book the Gay Mens Chorus or the Big Gay Jazz Band. We work with hilarious drag queens for your after dinner entertainment as well as cabaret from the likes of Four Poofs and a Piano. In the evening an Abba tribute never goes amiss. Or get everyone on their toes with a line dance? Whatever the style and impact you’re looking to achieve we are here to help you. I just wanted to say that we were very happy with both joogleberry and stu. Stu was perfect for us – turned up on time, did a perfect show and dj set and was generally fantastic – a real blast from the past. I would have no hesitation in recommending you or stu to anyone else.